With St. Patty's Day this weekend, let's look at some beer posters. Walk into any bar, anywhere, and you're likely to encounter a poster or sign advertising some kind of alcoholic beverage. There have been posters advertising beer pretty much since that first keg was produced many years ago. 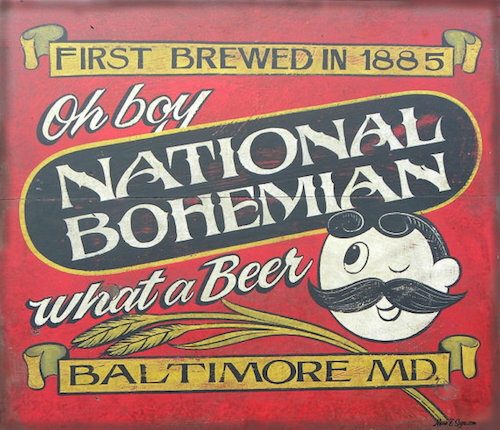 If your town has a well-known local brew, like Natty Boh here in Baltimore, chances are there will be a sign for it on the wall. There will probably also be a sign for something known everywhere and nothing has a more catchy ad campaign than Guinness. When it comes to advertising beer, there are two traits that are common among almost every design...bright colors and happy, smiling faces.